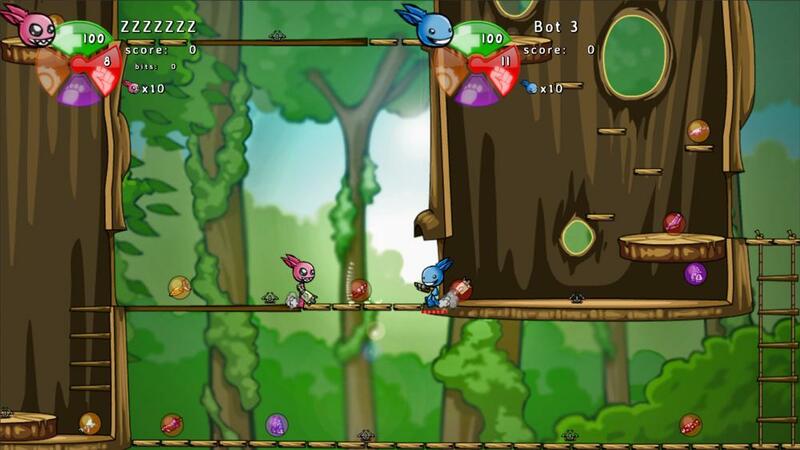 Mixing both fighting and shooter aspects onto a 2D plane, Gem Wars: Attack of the Jiblets aims to be the ultimate party game. 4 players on a single screen with 5 multiplayer battle modes, available with all sorts of configurations (like FFA, Teams, Stock, Time, Score) and a ton of game modifiers (like One-Hit-KO, Gem Roulette, Beam Arena, etc). Also available, Challenges Mode (single player) and Survival mode (single or multiplayer, available in cooperative or competitive configurations).